Energy companies are "overcharging in many cases" with prices failing to fall in line with dropping wholesale costs, the industry's regulator has said. Dermot Nolan, chief executive of Ofgem, told the BBC that domestic gas and electricity prices should be cheaper "for the vast majority of people". Wholesale energy costs make up nearly half of a domestic bill, and have fallen by about a third in the last 12 to 18 months, he said. Yet, prices had not fallen, he added. Energy UK, which represents the major energy energy companies, insisted that there was a competitive market of 34 suppliers and that people should switch for savings of hundreds of pounds. Lawrence Slade, chief executive of the trade body, said the industry had made "mistakes in the past" in failing to assist those languishing on variable deals but that the situation had improved alongside increased competition. The regulator has said 70% of consumers remain on standard variable tariffs which have hardly changed since early last year. 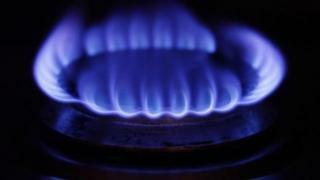 Pressure is mounting on the UK's big six energy suppliers to cut their prices in line with falling costs after the latest analysis showed wholesale gas and electricity prices in the UK hit a five-year low at the end of 2015. Figures published on Thursday showed the cost of energy on the wholesale market tumbled to £36.76 per megawatt hour on the Power Index, compiled by market information provider ICIS. Mr Nolan said those on variable deals - rather than fixed-rate tariffs where there is price competition - were failing to see much benefit from cheaper global wholesale energy. "We really should be seeing bigger retail cuts than we have seen so far," he told Radio 4's Today programme. He said that energy firms were charging these customers as much as they could get because they were "not facing strong enough competitive challenges". Richard Lloyd, of consumer group Which?, said this was a problem it raised a year ago. The issue of uncompetitive variable rates led the regulator to refer the sector to the Competition and Markets Authority (CMA), Mr Nolan added. In the meantime, the best tool available to customers was to switch to a better deal. The CMA's investigation will conclude with its final recommendations at the end of the month. Mr Nolan said that the regulator was open to any remedies that the CMA suggested, including a safety net cheap tariff for vulnerable customers. Mr Slade said competition had picked up even since the CMA started its inquiry, with 3.8 million households switching supplier last year. Details of cheaper tariffs were carried on customers' bills, he added.